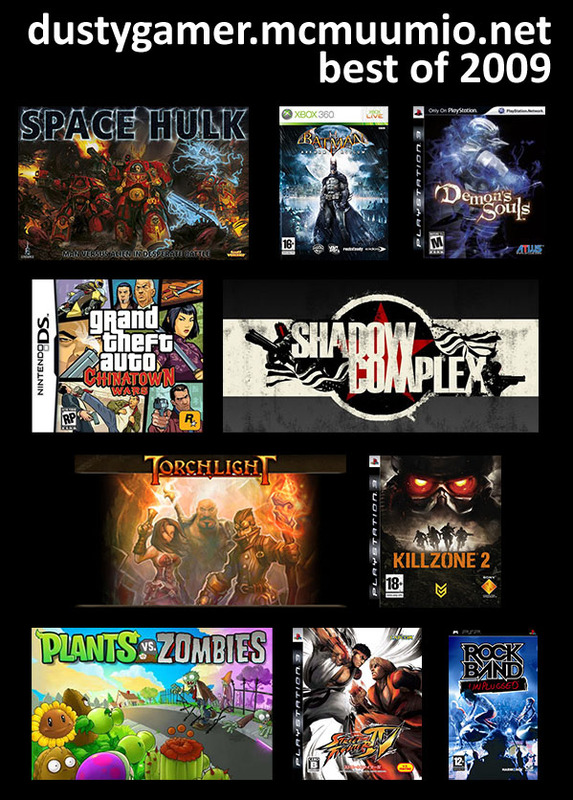 For the most of 2009 I spent my gaming time playing games from 2008 – Far Cry 2, Fable II, Rock Band 2, lots of cheap PSP & DS titles, Company Of Heroes, Dawn Of War (the first one) – but I thought it could be fun to put together a list of what was the best 2009 had to offer. For future reference, see. I have not played many of the big hitters of 2009 so there’s bound to be holes, but these days, gaming is too big a pastime for one man to wholly take in with his free time (and income). Major omissions include Halo: ODST, Modern Warfare 2, Resident Evil 5 and Dragon Age: Origins, to name a few. Batman: Arkham Asylum. I haven’t written about Rocksteady’s phenomenal take on Batman (because I’ve been too busy playing it), but it ranks as one of my all-time favorite games. Play it. Torchlight. I’ve been playing this for most of the holidays, it’s crazy good. Too bad about the lack of variety and the still missing multiplayer. I’m surprised by how many “small” games there are – mobile games and cheap PC games. Remarkably, the only one I was looking forward to before it hit was Killzone 2, the rest of these have been more or less very happy surprises.